George Galloway: How is your campaign going? 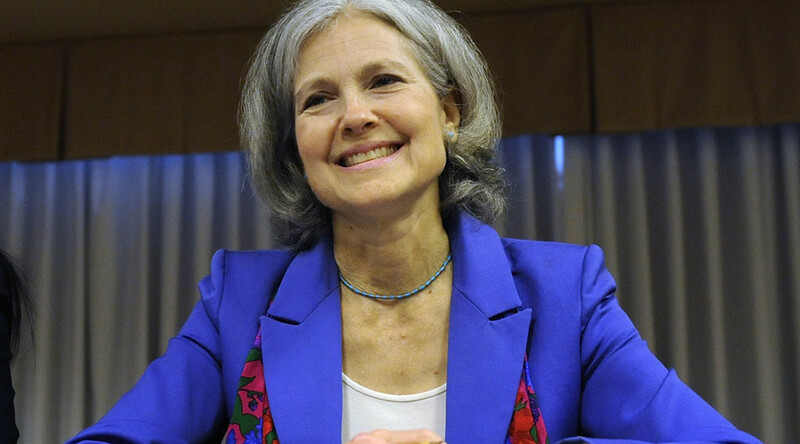 Dr. Jill Stein: It is going great, it is going game busters. There is a rebellion going on in the US, as in much of the world, and for good reason - we are in crisis and people really want to see change. You cannot have a revolution inside of a counter-revolutionary party. This is a big, deep and long fight. And it can’t simply be passed on to Hillary Clinton and we think that Bernie Sanders is running a very principled and powerful campaign; he is riding that wave of revolt. But unfortunately he is in a party that has a track record for basically sabotaging its rebels. It has done a good job of doing that in the past from Dennis Kucinich to Jesse Jackson to Howard Dean, whether they use a PR campaign like the 'Dean’s scream' to bring down the Dean candidacy. Also Jesse Jackson was sabotaged by a PR by the DNC. The Democratic Party has its ways of reigning people in if they try to rebel. The bottom line is that we are in political system in the US, which is funded by predatory banks and fossil fueled giants and war profiteers. So, we really need to reject that system, we say to reject the lesser evil so we can stand up and really fight for the greater good. G.G: Let me assume that Donald Trump will be the Republican Party candidate and Hillary Clinton for the Democrats. Give me your thumb nails sketch of those two likely opponents. J.S: Unfortunately, they have an awful lot in common. They both support a very strong military, they support a budget in which 54 percent of our tax dollars are discretionary budget is going to the military to fight these wars which are not making us or the world a safer place. They are firing back at us madly, creating failed states and refugee crisis and worst terrorist threats actually. So, they both fail to see the picture on that account. They are both very much representatives of the oligarchy: Hillary Clinton who was on the Board of Directors for Walmart. There is no more oppressive corporation for workers’ rights and women than Walmart, who never found a word that she didn’t support. Donald Trump – it is hard to say exactly where he stands because he changes his mind all the time. One thing is very clear, he is not friendly to immigrants. For him not to understand that in our country we are all immigrants and in fact that immigrants are really the vitality and the diversity of our communities, our economy, our culture. This is a very dangerous thing - this is a slippery slope to fascism. There is nothing inspiring, enlightened about either of those campaigns. They are both representatives of oligarchy and at this point it is unclear whether the Republicans will allow Donald Trump to be nominated. There is talk now Paul Ryan being a brokered candidate at the Republican convention. He is sort of the establishment of the Republican Party, which is very much at war with Donald Trump. G.G: Donald Trump seems to me on the edge of a kind of Mussolini politics. Isn’t it a kind of fascism underneath this blonde fetch?